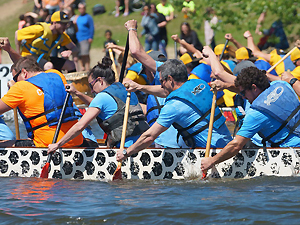 The dragon boat race is a friendly team competition that raises funds for the À Notre Santé Foundation at the HDA Hospital. The foundation's mission is to support our regional hospital by providing funding for key projects that will ensure the continuity, improvement, quality and safety of the care and services the hospital offers the entire population. 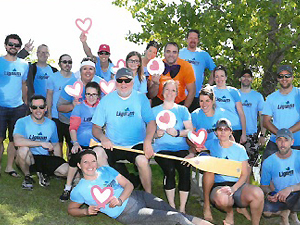 The Lignum Veneer team was there to take up this challenge! 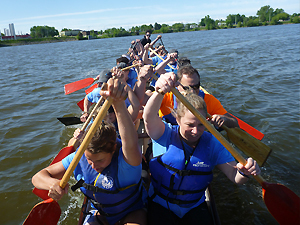 A great activity that shows just how fast and far you can get with teamwork.